Your privacy is important to us. 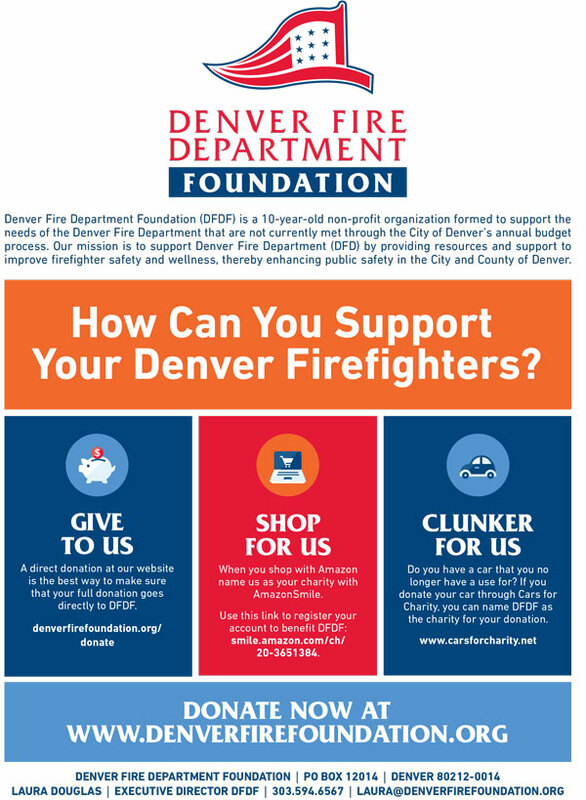 Friends of The Denver Fire Department is and we are committed to protecting your privacy during your visits to our website. It is our responsibility to keep the information you provide to us confidential at all times. We log each visitor's domain and IP address automatically. This information does not identify you as an individual but does identify the computer that is being used to view the website. This data is used to see where the site is being used to ensure coverage, and for click stream analysis to help better understand usage of this website so that we can improve our service to you. We do not link information automatically logged by such means with personal data about specific individuals. Data will be held indefinitely. We treat our data as assets that must be protected against loss and unauthorized access. We employ information security techniques to appropriately protect confidential information from unauthorized access by users inside and outside the company. Access to customer information by FDFD employees is limited to those employees who have a legitimate business need for that information. The FDFD website and its supporting systems , employ generally accepted information security techniques such as firewalls, access control procedures and cryptography to appropriately protect confidential information from unauthorized access. FDFD provides links to external sites as a convenience to the user. The inclusion of any link does not imply FDFD endorsement of the external site company, its web site, or the products and services it promotes and sells. FDFD is not responsible for the privacy practices or the content of such web sites.